When was the last time you had a break? Here we bring you lodges with hot tubs in Suffolk, which are affordable, well equipped and encourage you to switch off your phone, take some time off work and unwind. Suffolk is beautiful county, with over 50 miles of stunning coastline, glorious countryside dotted with medieval towns and idyllic villages and an excellent selection of restaurants making it an ideal destination for foodies. Immerse yourself in the rich history of the area or simply spend lazy days with the family relaxing on one of the Blue Flag beaches. The superb attractions and fantastic days out in Suffolk mean you can do as much or as little as you want and after fun-filled days what better way to spend your evening than a spot of alfresco dining back at your Suffolk hot tub cottage finishing off with a relaxing soak in your own luxurious hot tub. A great place to find cottages in Suffolk sleeping from 2 to 15 and catering to a range of different requirements such as pet-friendly, family-friendly and large groups. 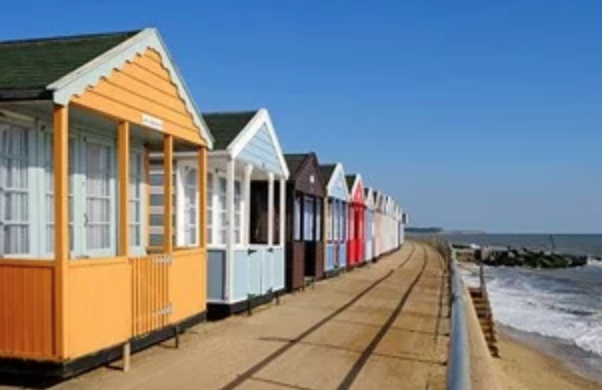 Holiday Cottages in Suffolk offer a choice of over 20 personally inspected holiday cottages in beautiful locations across Suffolk, including dog-friendly cottages, family-friendly cottages and cottages with hot tubs. Twin from £80, Double from £80, Family room from £90 all with en-suite. Double rooms from £65, Family room from £95, Single room from £45 all with en-suite. Twin from £99, Double from £85, Family room from £85, Single from £60, all en-suite. Double/Twin rooms from £150, Single rooms from £70, all with en-suite. Double rooms from £55, Single occupancy from £35, all with en-suite. If you're visiting East Anglia, Norfolk is an all year round destination and ideal for a holiday or short break. Click here for details of recommended accommodation and places to visit.